"Once you make a decision, the universe conspires to make it happen"
There are many companies working in the field of Government consultancy, reform and modernization, so what makes KGH different and why should you select KGH Border Services as your partner? KGH has implementation experience. We have done it before, in many countries, on the ground. We know what works and what doesn’t. KGH Group works with Government and Private Sector, we know and work with all stakeholders of the supply chain. KGH Experts invented many of the modern concepts of Customs and Border management, like e.g. Single Window, One-Stop-Shop and AEO. These concepts were first developed in Sweden and then spread to the rest of the world. KGH experts not only invented and implemented the leading concepts of modern Customs and Border efficiency, we also took part in the standardization process making the concepts international standards through positions in international institutions. KGH is an independent capacity building company that is specialized in implementation, integration of models and systems and in delivering results. We have a track record of always delivering projects on time. 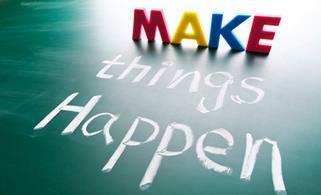 We makes things happen. We build the future.